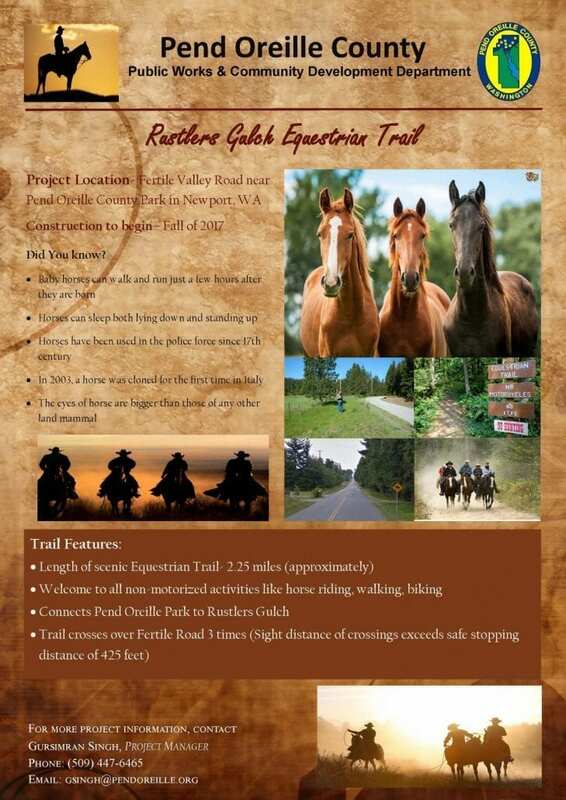 This project consists of the following: Design and construct a 2.25 mile equestrian trail in the existing road right of way of Fertile Valley Road beginning at Pend Oreille County Park (318342 Hwy 2) and ending at the Rustler’s Gulch Recreation Area. This trail will connect the 386 acre park with the 560 acre County owned Rustlers Gulch Recreation area and the adjacent 2,800 acre West Branch Little Spokane Wildlife Area. This project has been vetted by the County Parks Board, and the County Commissioners. Both bodies are extremely supportive of this proposal. This project enhances the County transportation system and the State Highway System. This project is 100% grant funded through the RCO (Recreation & Conservation Office) and Road Dept. Fund, which can only be used for paths and trails. The Public Works Department has already begun construction of the trail and is expected to be completed by Summer of 2018. Pend Oreille County Parks and Recreation will be installing an Equestrian Group Camp and Parking Area within the Pend Oreille County Park. 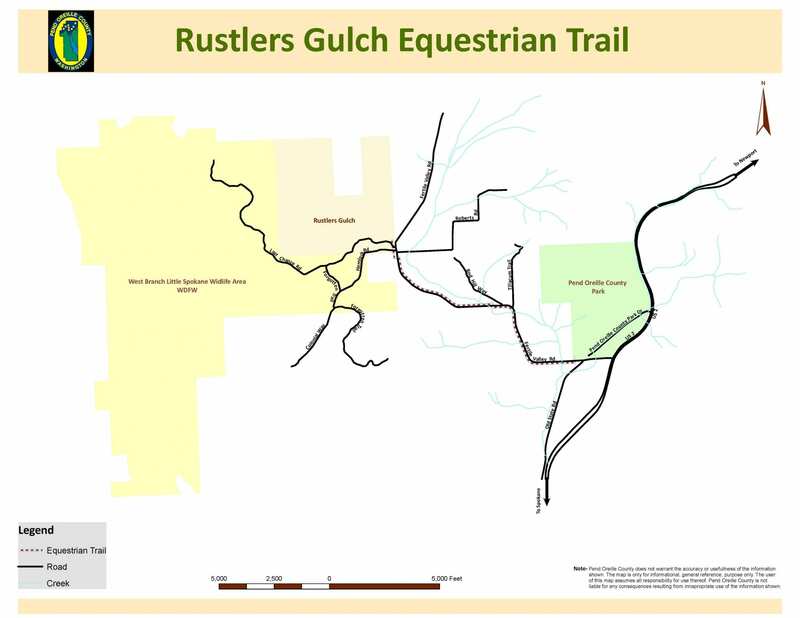 The Parking Area will be a staging point for access to the Equestrian Trail linking the County Park to Rustler’s Gulch.